Branding, logo design, website design and Social Media Marketing for a national Law Firm. 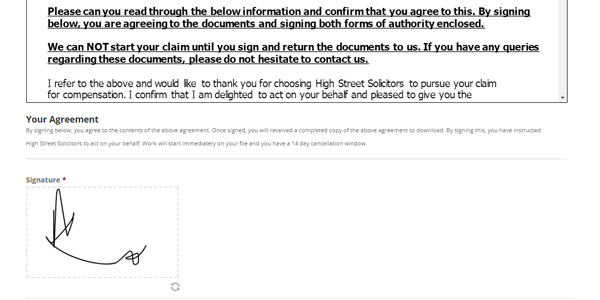 High Street Solicitors contacted us to develop and launch a new brand for an upcoming area of Law. 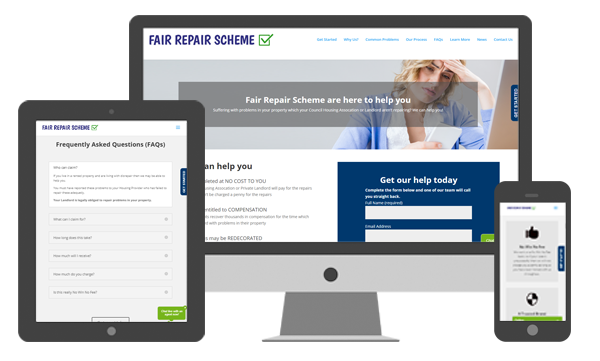 We developed the Fair Repair Scheme name, brand and website which we felt was appealing for their target audience. 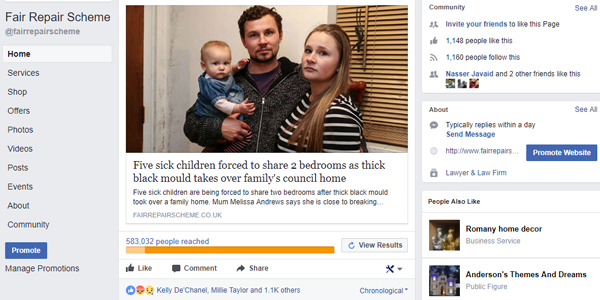 We also launched a Social Media campaign which helped generate huge volumes of traffic to their website and they were inundated with thousands of profitable enquiries. Our bespoke packages are completely tailored to your needs and to your budget. We are quite confident that we can build a good website for any reasonable budget and we will take every step possible to get exactly what you need for a price you can afford. 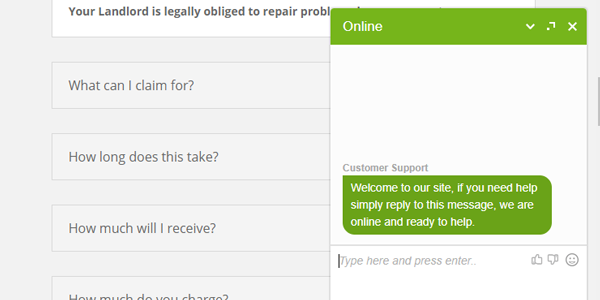 Keep your customers online and happy by adding our optional live chat feature to your website. 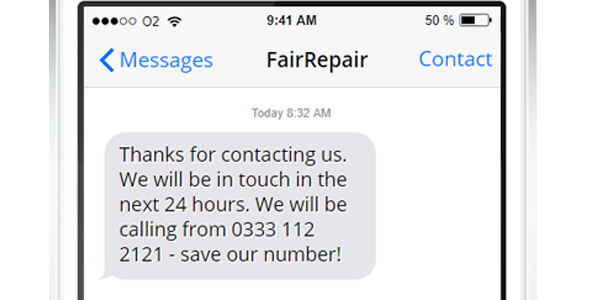 Save time and money by answering your clients queries online and keep your phone lines free for urgent business! We can design your advertisements and make sure they are seen by hundreds of thousands. Our Social Media advertising campaigns allow you to set a budget and target audience – the results speak for themselves! All of our websites are built with intelligence to ensure that we make your client acquisition as simple and effective as possible. 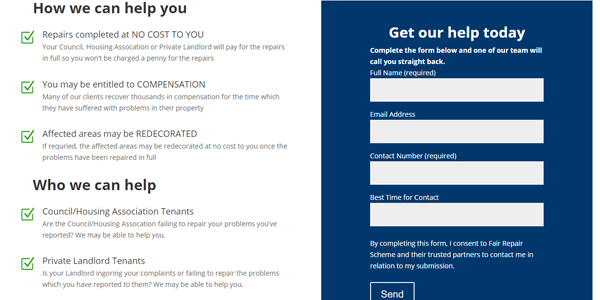 One of our popular features is instant SMS to clients after they complete a contact form. We can build great landing pages which are perfect to use for online advertising. Your visitors only see the information that they need and the desired outcome is clear and attractive. We can add intelligent and advanced features to your website to suit your needs. This can be something as simple as electronic signature collection to something more complex like paid member content for your visitors.